Officer Casio Hightower will never forget the day his dreams were destroyed. A star quarterback with a promising future, Casio was on top of the worlduntil one bullet changed everything. He is eager to help Victor Campbell find B.J.s killer, the man who shot him. Maybe solving the case will help silence the demons driving Casio to hurt the woman he loves. SERITA ANN JAKES has been involved in Christian ministry all of her adult life and has served alongside her husband, Bishop T. D. Jakes, throughout their entire marriage of nearly 30 years. In addition to raising three sons and two daughters, Mrs. Jakes is Executive Director of the WoMan To Woman Ministries of The Potter's House of Dallas where her husband is Senior Pastor. "Serita Jakes has created a rich story about confronting the debilitating wounds of ones past and standing at a crossroads of hope and healingor ongoing suffering. Her characters take meaningful and relatable journeys, and they will serve as an inspiration for many to find the path toward wholeness." "An amazing story of hope, loss, and the unconditional love that brings us back to God, Serita Jakes has created a meaningful novel that tears at your heart while mending your brokenness at the same time. The Crossing is powerful storytelling." "The Crossing is captivating from page one. Serita chronicles a remarkable tale of betrayal, pain and spiritual anguish. Her writing uncovers an important core message: how to find freedom from past hurts and wounds, and move toward a life of forgiveness, healing and Divine wholeness." 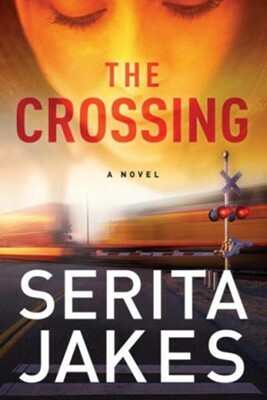 "Serita Jakes The Crossing is so much more than you expect. Shes a brilliant woman of God and this stirring novel will reach so many hearts and lives with its message of grace and healing." "First Lady Serita Jakes is a unique lady with a big heart. She has experienced hurt in her life, therefore The Crossing is a perfect novel for her to write. She is a woman who loves much and wants to help others. This book will impact, and may even, save your life. I salute Serita and consider her one of my children." Dodie Osteen, co-founder Lakewood Church and author of Choosing Life. I hope whoever reads this book never has had to go through loss and suffering. But should you be faced with one or the other or both, Mrs. Jakes powerful words will help you through it because it demonstrates Gods forgiveness, powerful healing and unconditional love for us all. "Serita Jakes has captured the true meaning of what it means to "wear the mask". And the phrase cover your sins and keep up appearances penned in The Crossingsays it all. The depiction of the novels main character Claudia reveals the devastating and irreversible effects of untreated trauma and the dire consequences if left undiagnosed and untreatedas it does all too often. The Crossing hits home on these important issues in a down-to-earth and entertaining way. The Crossing is an important novel and I highly recommended." "A meaningful novel about loss, forgiveness, suffering, and Gods healing, unconditional love. A perfect read for women who have seen hard times. I highly recommend it." I'm the author/artist and I want to review The Crossing: A Novel - eBook.